Bed after bountiful bed of shellfish line the shores of our beautiful state. 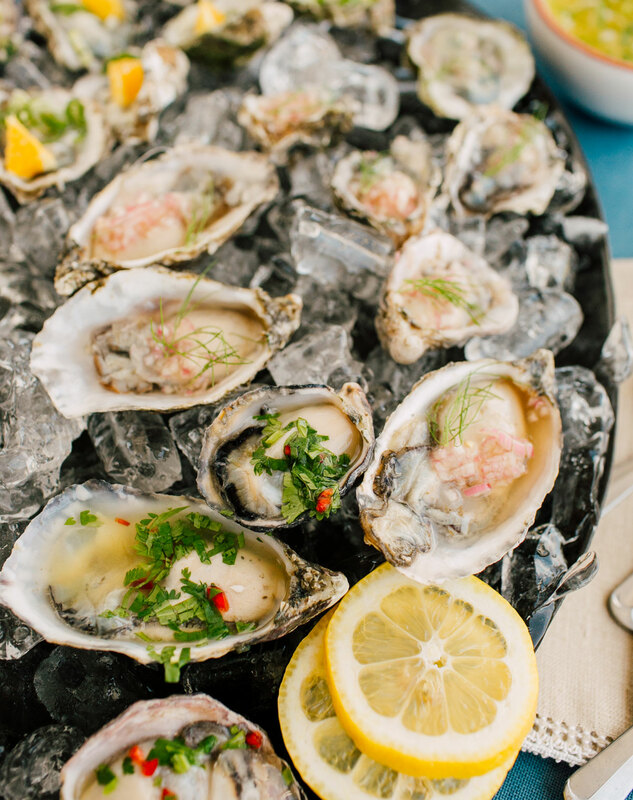 Washington’s clams, oysters, and mussels are world-renowned for their flavor and abundance, and seafood farmers have been cultivating these delicacies along our coast for more than 160 years. An integral part of our local heritage, the shellfish industry remains vital to western Washington’s modern rural economy and provides a year-round income source for coastal farming families. Like our local land farmers, the family-run operations centered around bountiful Willapa Bay depend on time-honored techniques that honor the planet as well as the animals. They aim to ensure a consistent shellfish harvest that will sustain these family farms for generations to come. Ekone Oyster Company has been cultivating fresh Elkhorn oysters along Willapa Bay for more than 35 years. Using age-old methods, the company remains proudly independent and family-run. They take their stewardship of the bay seriously, and are committed to protecting and preserving what is considered the cleanest and most productive coastal ecosystem in the continental U.S.
Look for fresh, live oysters that smell clean, with tightly closed shells. Do not buy oysters that are opened; they aren’t safe for consumption. If the shell is slightly open, give it a tap, if it snaps shut it is still alive. Refrigerate live oysters flat side up and covered with a damp towel. Do not store in an airtight container or in ice. Melted ice water and lack of oxygen can kill oysters. 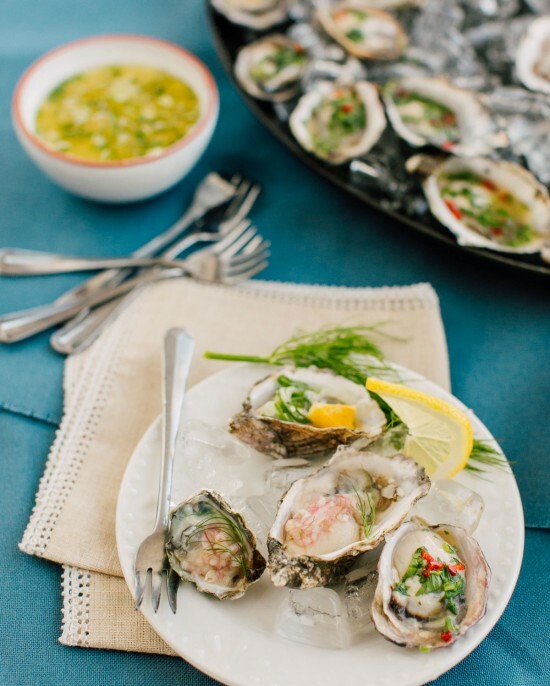 To clean, place oysters in a colander and rinse under cold running water. Scrub off any mud and debris with a scrub brush. To shuck, hold the oyster flat side up, insert a knife into the opening near the hinge, and twist to open. Once the hinge gives, slide the knife along the shell to sever the muscle, and pick out any grit or pieces of broken shell. 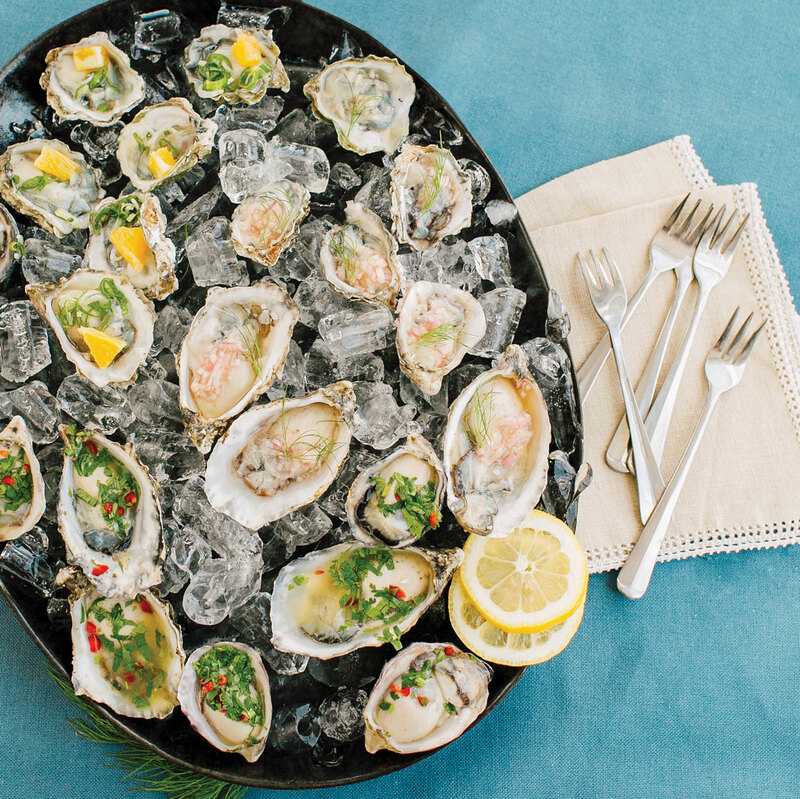 Shuck one dozen oysters or more on the half shell. Cover a platter with crushed ice and nestle the oysters into the ice bed. Spoon your sauce of choice on top of each one. Enjoy! Stir all ingredients together and let stand for at least 10 and up to 60 minutes before serving.